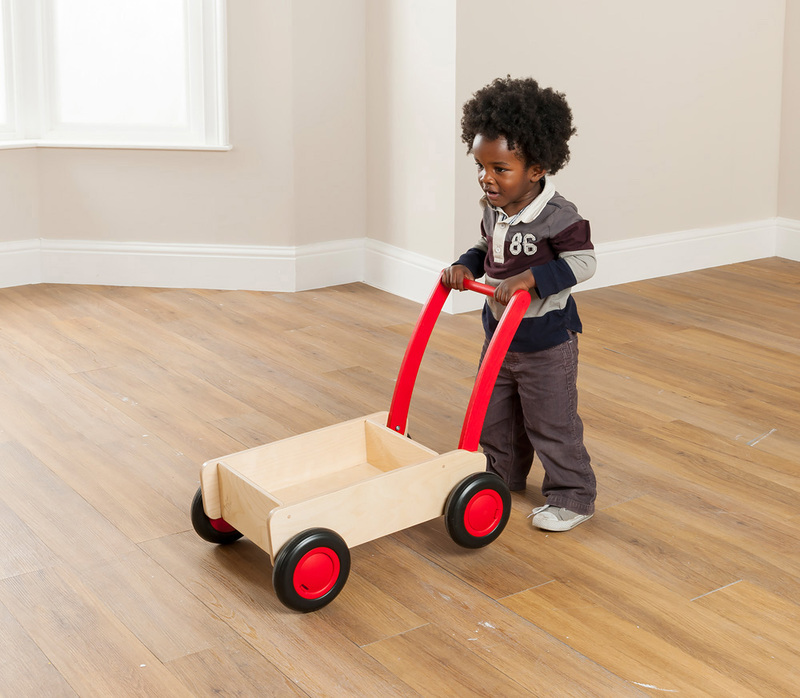 The push cart has been designed with early years play in mind and can be used as a pram, lawnmower, wheelbarrow or whatever the children can imagine. 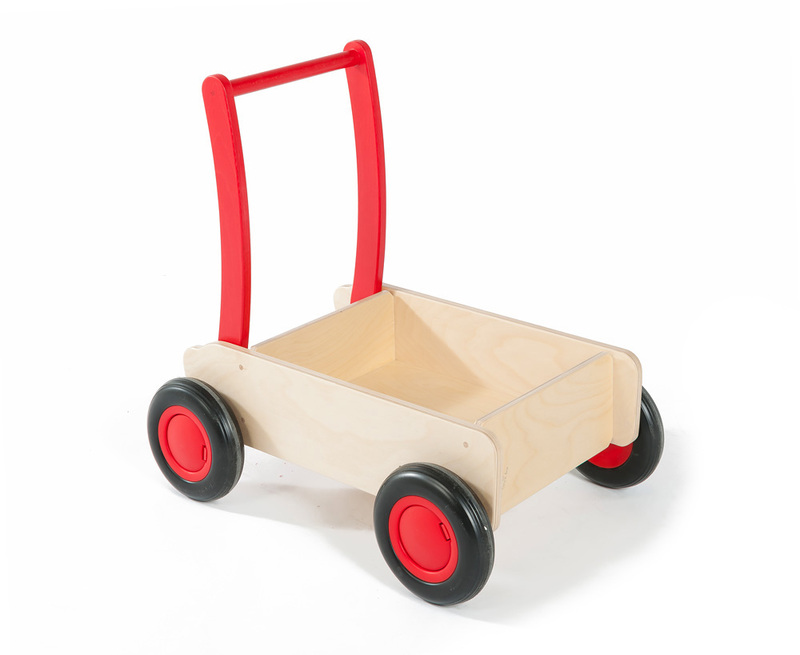 Manufactured using birch plywood with a child friendly, water based lacquer that helps the push cart maintain its natural wood appearance and make cleaning easier. 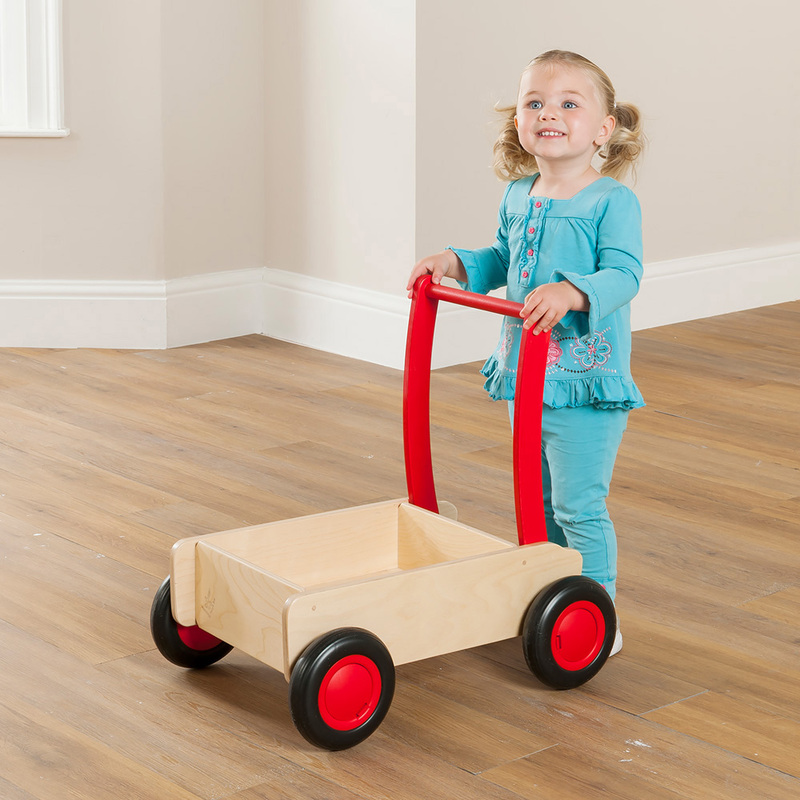 Featuring non-marking soft plastic tyres that roll easily on all surfaces, including outdoors as well as a handle that can be adjusted to different positions making it easier to store the push cart after use. 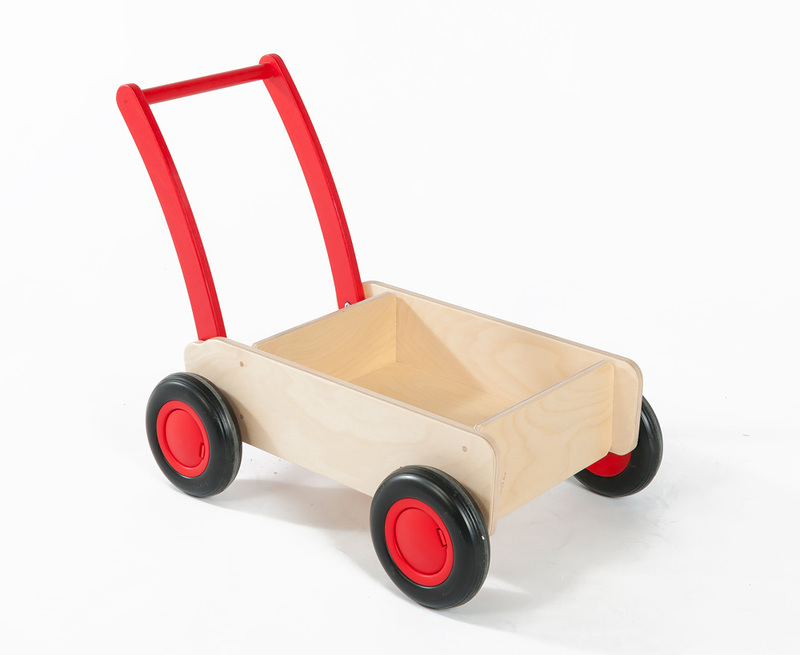 The push cart is ideal for school and nursery physical play.